Sometimes, we are hungry to really dig deep into truth. Whether it's groups focused on studying God's word, or specific topics (e.g. global missions); we host seasonal study groups. Deeper connections often are made in small groups. GRACE groups follow a seasonal pattern, where the Sunday message prompts the topic of discussion. The number of people in a GRACE group usually ranges from 6-10 people. GRACE group seasons last 8-10 weeks in the Spring and Fall of each year. 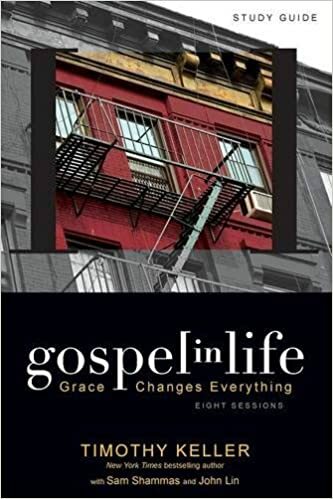 This GRACE group season, we will be walking through the material by Tim Keller called "Gospel in Life". As is our custom during GRACE groups seasons, Sunday sermons will introduce the topic. Groups held on Sunday and during the midweek will allow for discussion and follow through. To sign up, go to our app (click here to download app). Hit the "GRACE Group" button, and then the "sign up" button. Partnership classes are offered quarterly, allowing people to explore a commitment to New Vision together in a group setting.